Count on Script & Style as your go to shop for personalized family name signs, personalized canvas wall art, custom quotes on canvas, personalized picture frames, and personalized burlap signs. 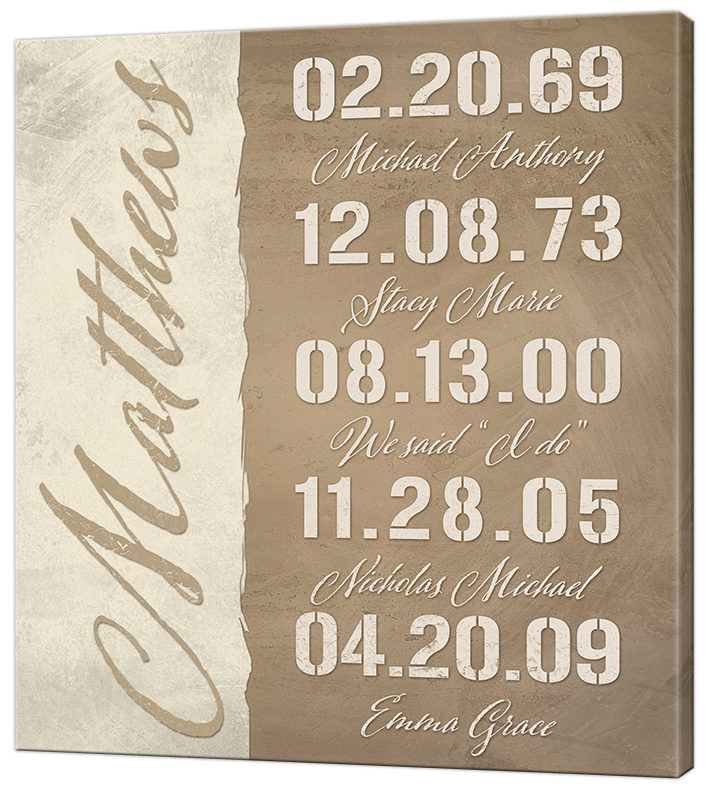 Whether you are shopping for yourself or looking for the perfect personalized wedding or anniversary gift, we have a great selection of personalized wood last name signs and personalized canvas wall art that will not only make a memorable gift, but also one that will be cherished for years. All of our personalized products are of the highest quality, and are sold with our 100% satisfaction guarantee. We look forward to helping you find that perfect personalized gift or helping to create that special piece of personalized art you have been looking for.